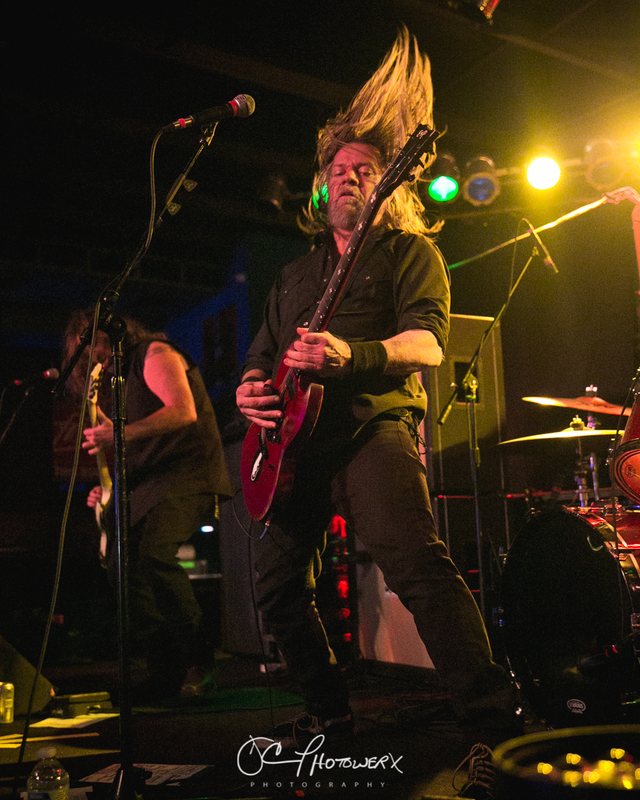 Just across the Mississippi River from St. Louis, there is a sleepy little town named Sauget. Wikipedia has this to say about Sauget: “The Village of Sauget also has a very tolerant attitude toward small business. Many strip clubs exist in this zone of free enterprise.” Sounds like the perfect place for a Black Label Society New Year’s Eve Bash. 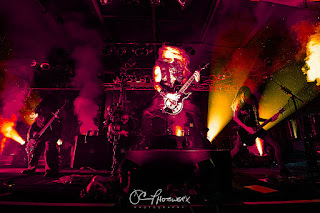 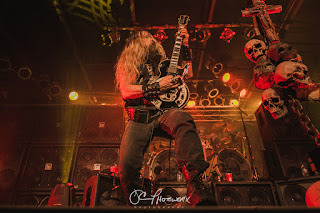 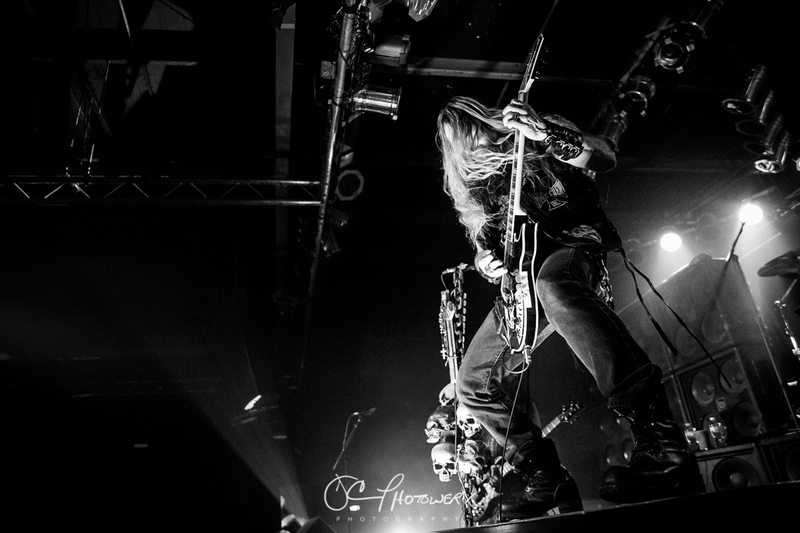 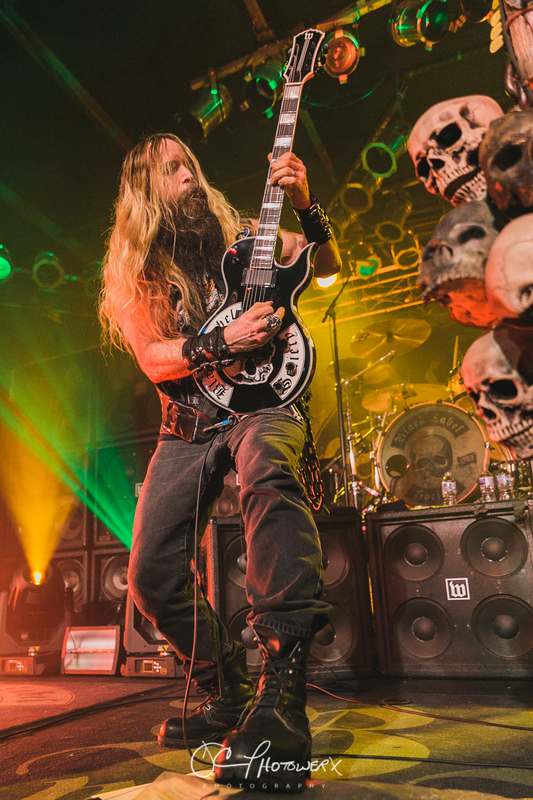 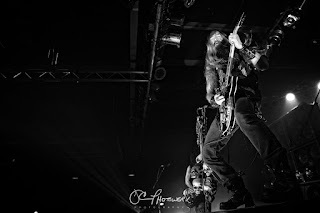 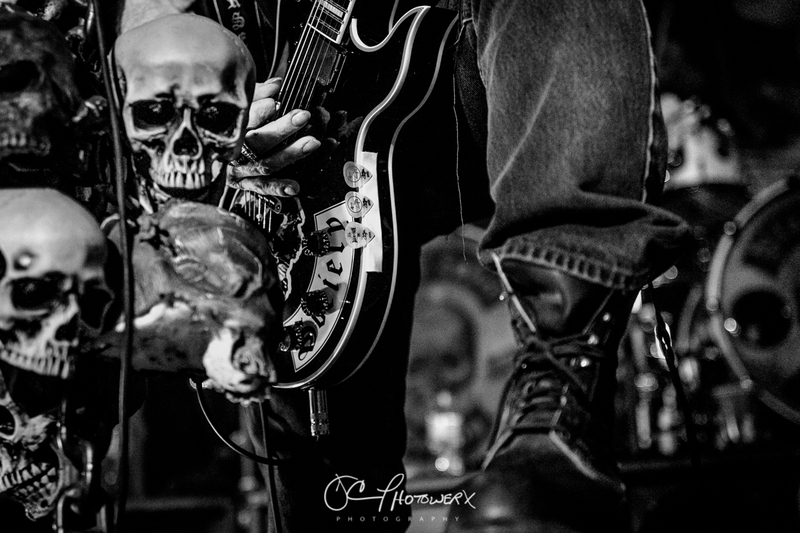 Just coming off a holiday break, Zakk Wylde and company made Sauget their fourth stop, on an extensive tour that will have the band playing almost nonstop until the middle of April. 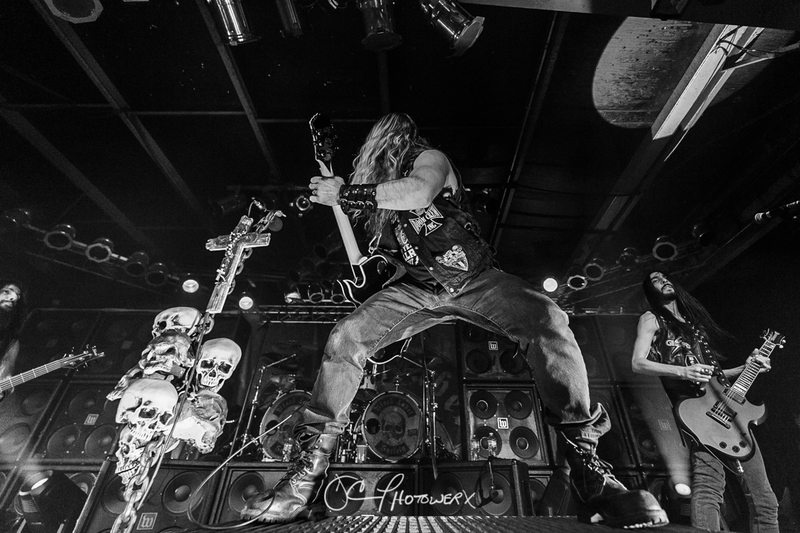 Black Label Society is supporting their latest effort, Grimmest Hits. 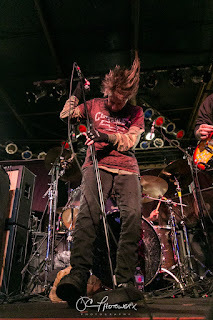 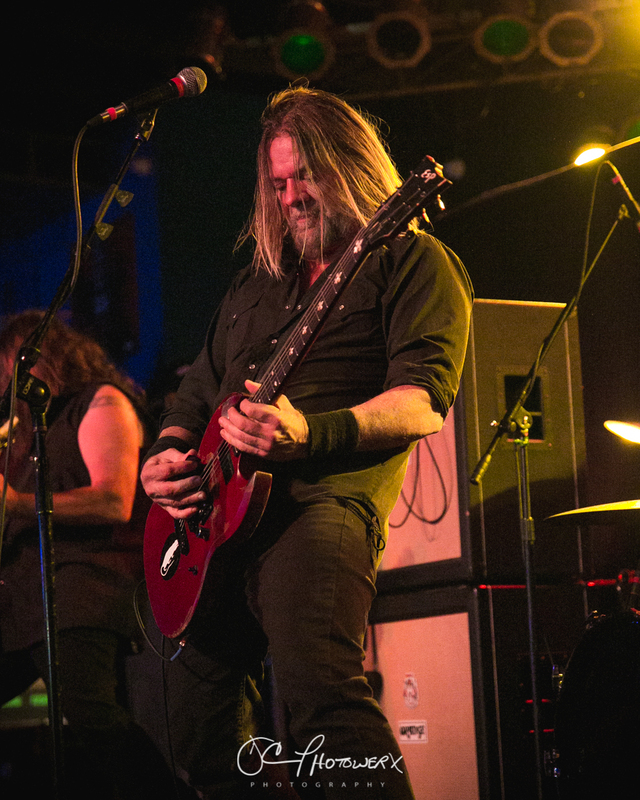 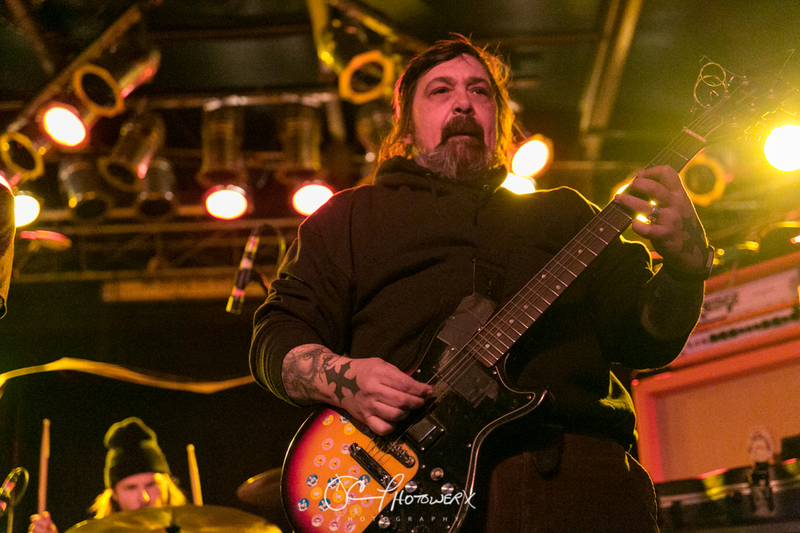 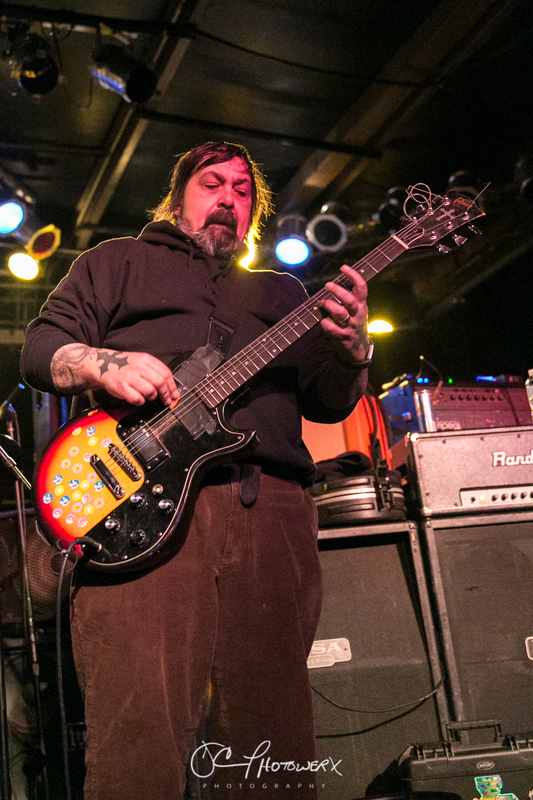 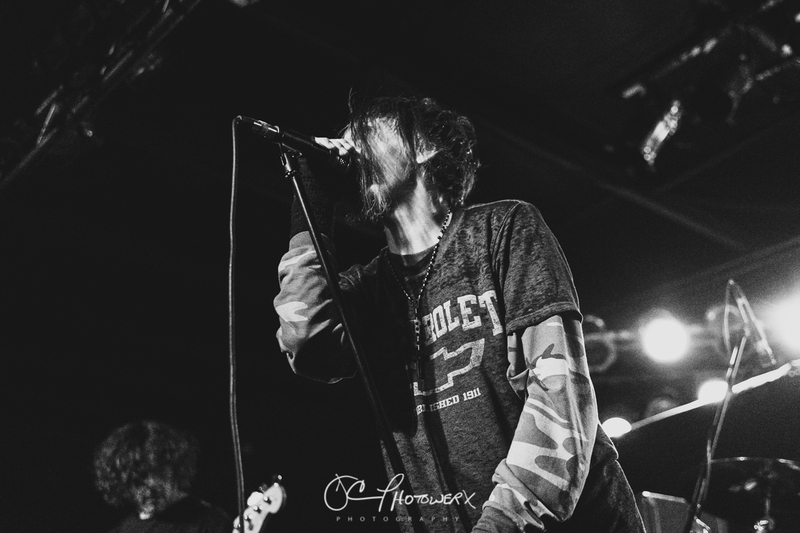 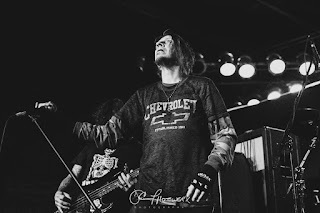 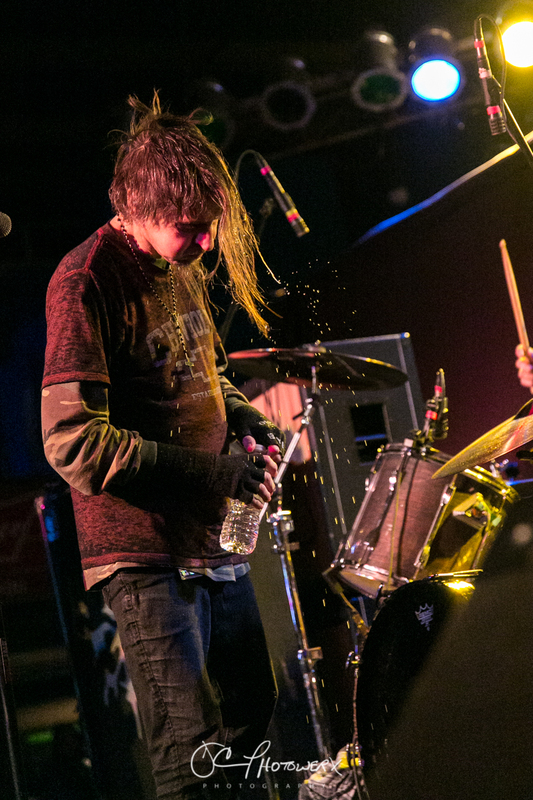 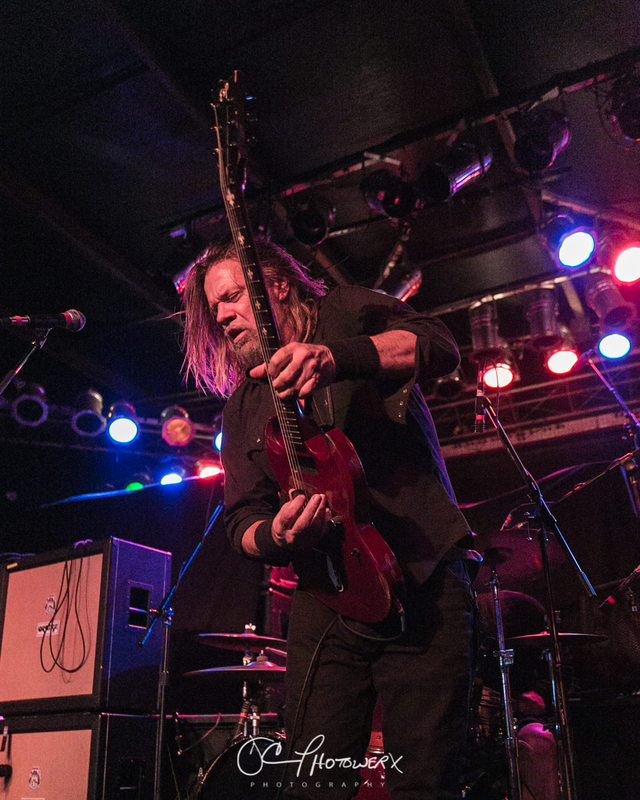 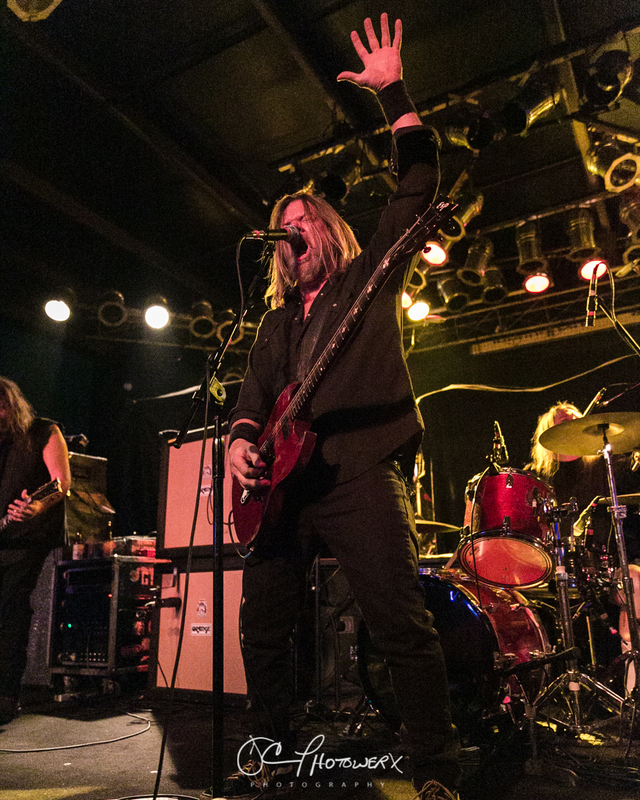 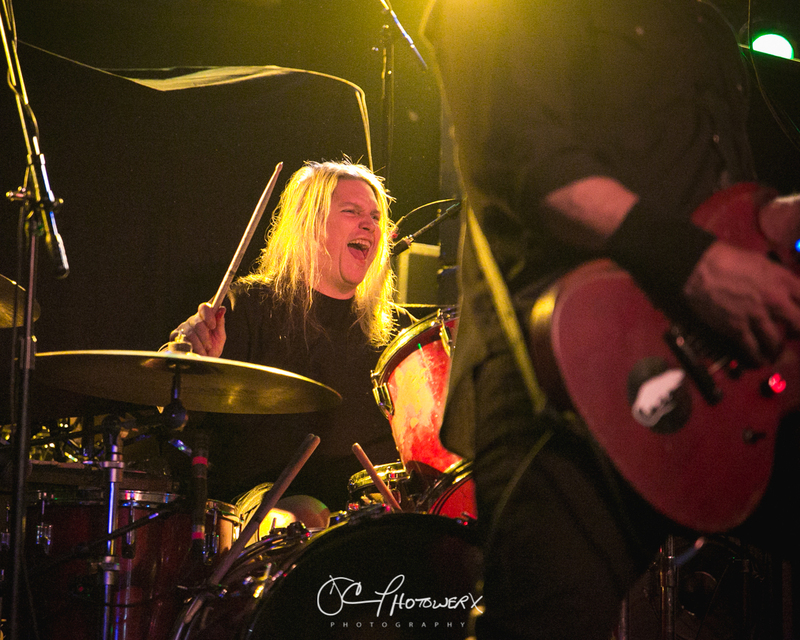 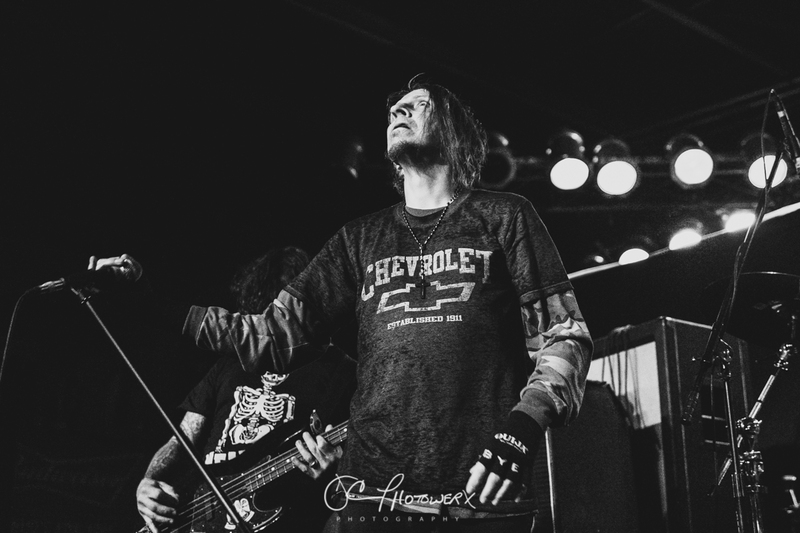 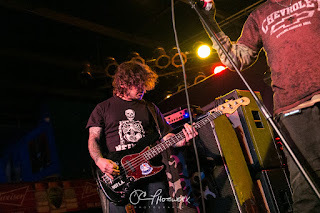 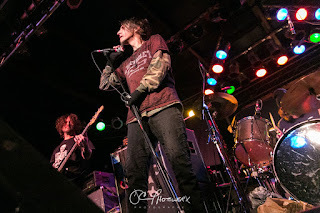 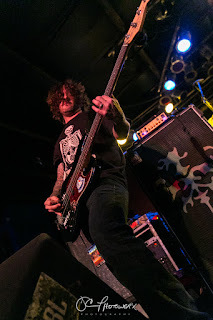 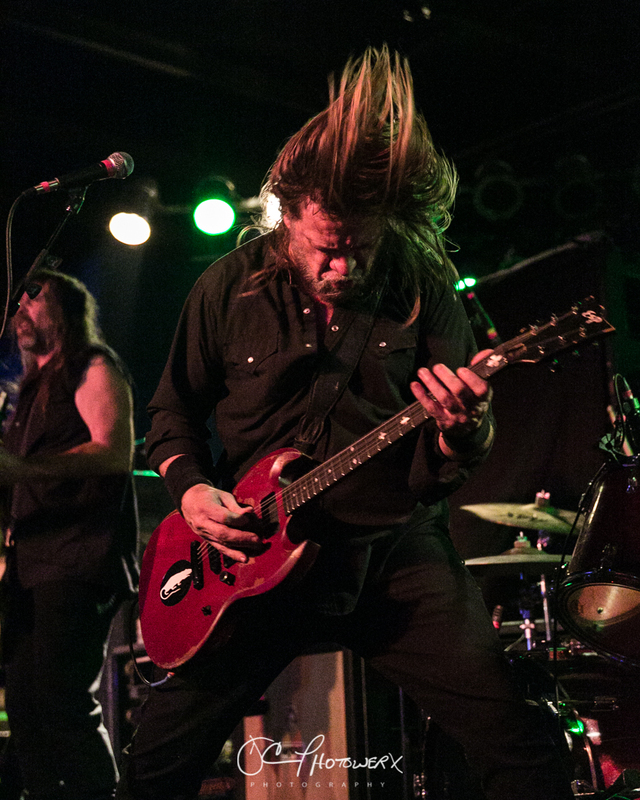 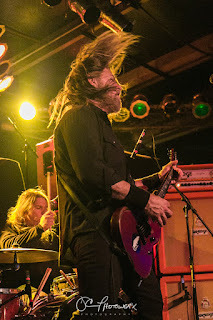 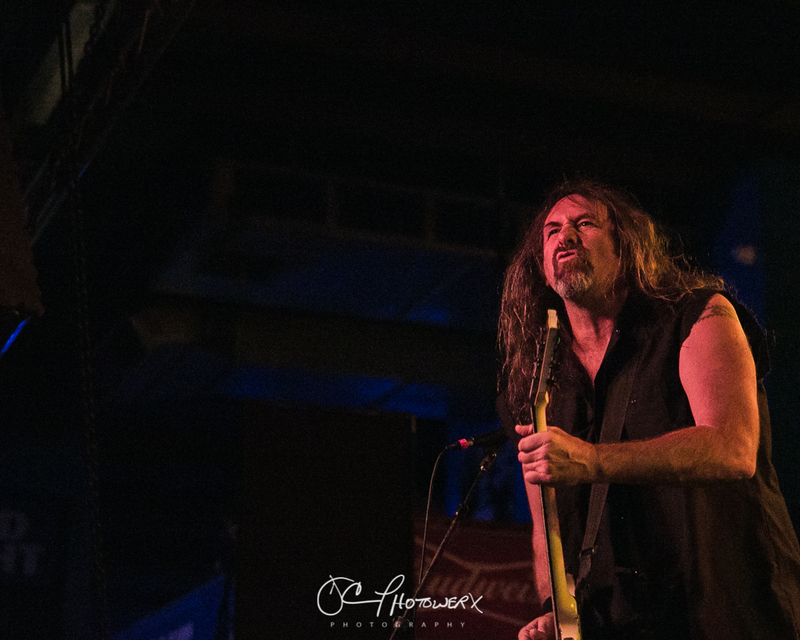 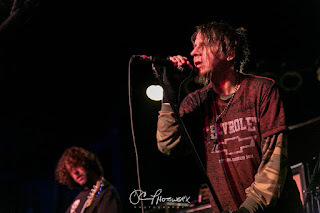 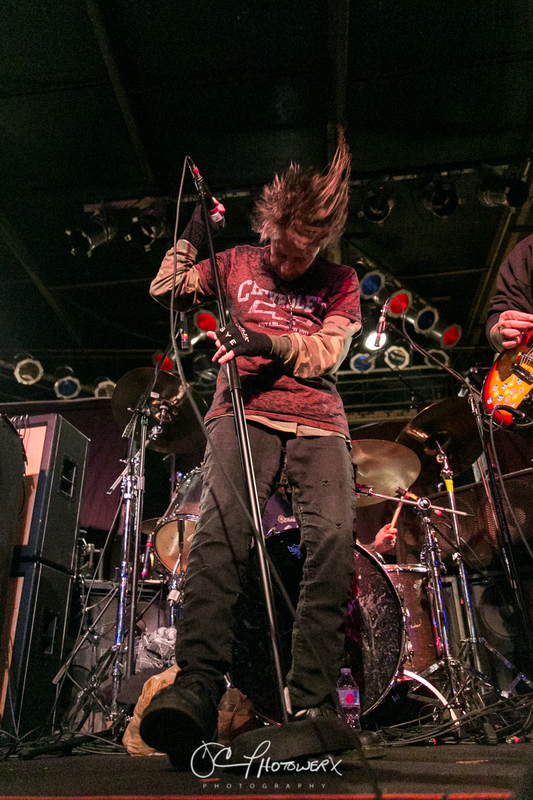 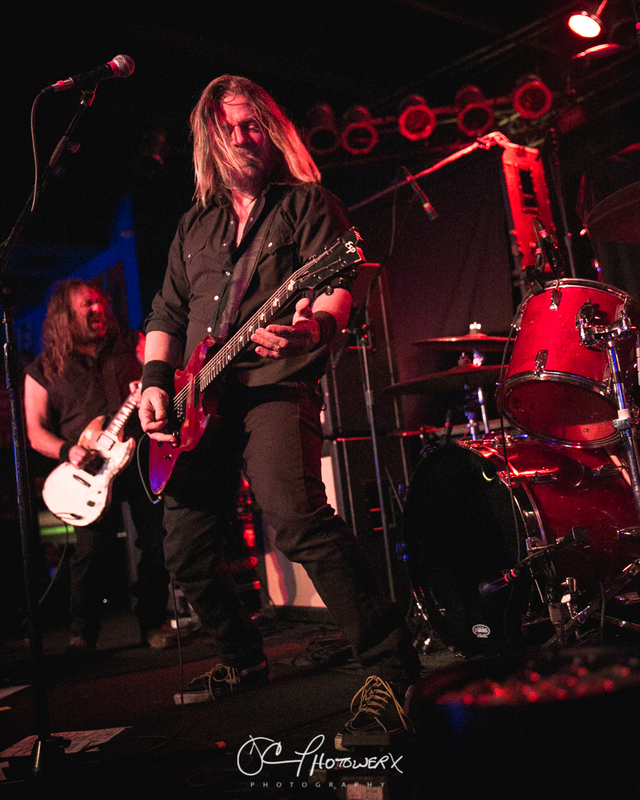 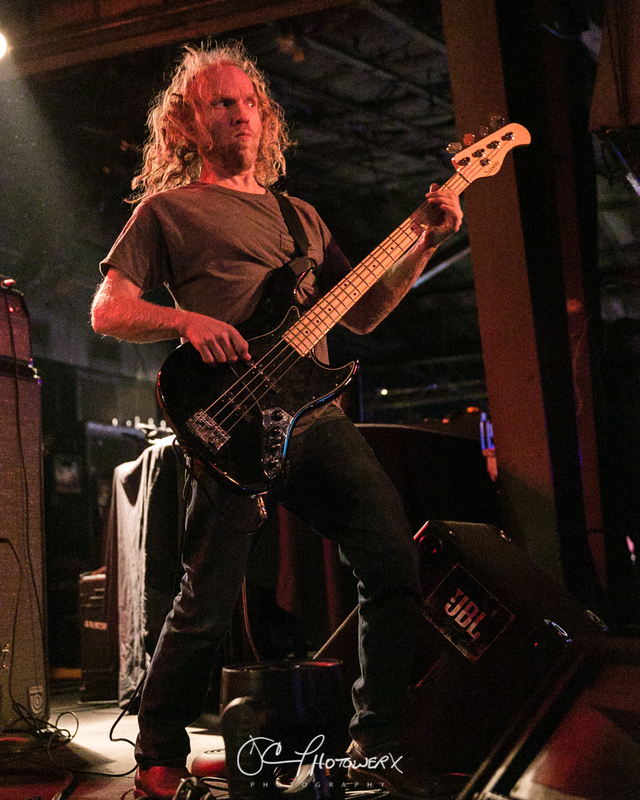 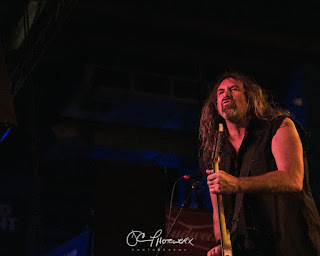 The sweaty, eastside rock club was sparsely populated for the opener, Eyehategod, a grungy metal quintet from New Orleans. The single digit temperatures may have kept people home until the last possible minute. 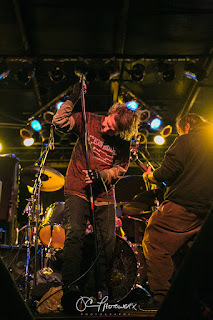 Anywho, the boys from NOLA did an admirable job of warming up the room, despite some technical difficulties. 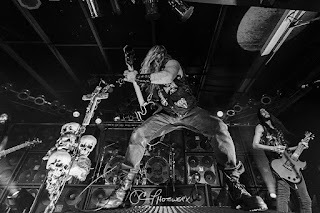 Slowly but surely, the Sauget, IL chapter of the Black Label Society began filling up the room, just in time to catch a good portion of Corrosion of Conformity’s tight set. Corrosion will be supporting Black Label Society on a majority of this tour and promoting their newest project, No Cross No Crown, due out in the middle of January 2018. 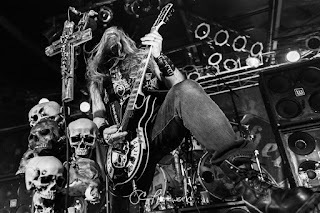 The feeling that you were going to witness something powerful, almost spiritual, was overtaking the room, as the Black Label Society banner was raised to the rafters. Through the banner you could see the faint bustle of last minute stage prep, adding to the excitement. 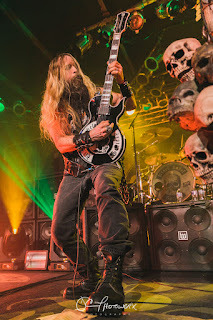 A mashup of Led Zeppelin and Black Sabbath blasting through the PA ushers the banner drop, and a sonic blast that is Black Label Society! 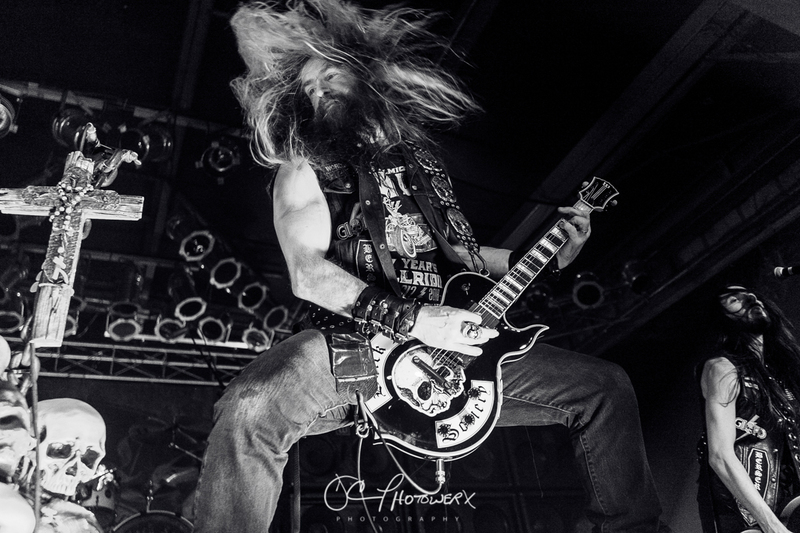 As many may know, I’m a huge fan of Zakk Wylde and the magical work he does on guitar, few can match his speed and dexterity. So, from time to time I need to pinch myself to snap out of my fan trance and remember I’m here to do a job for MTC MAG! To refresh your memories, Wylde was Ozzy Osbourne’s lead guitarist for twenty-plus years. 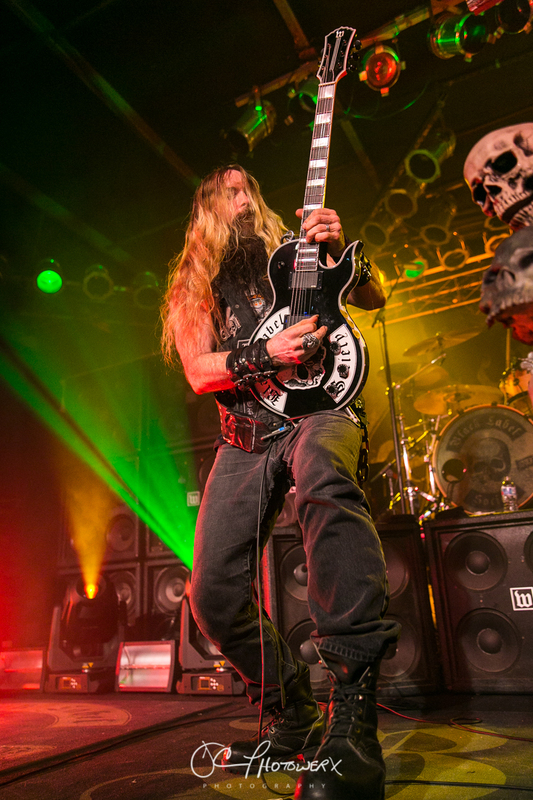 Taking a 10-year sabbatical from Osbourne’s band, Wylde found no shortage of work. 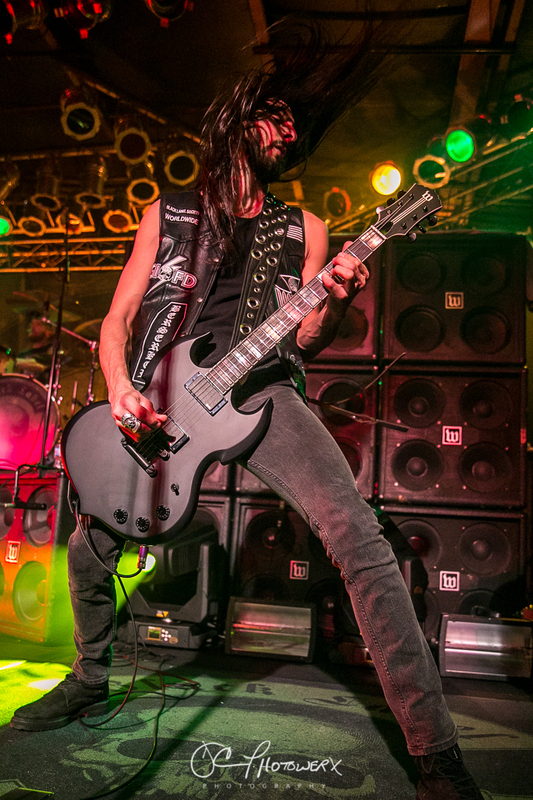 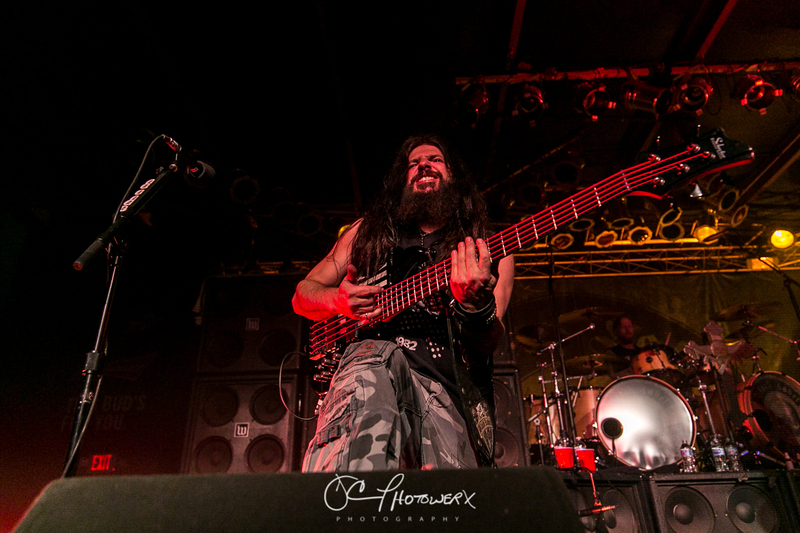 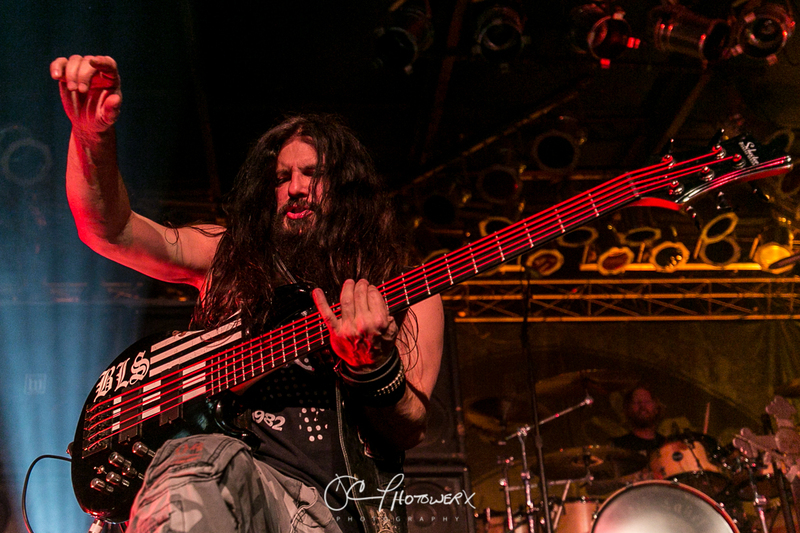 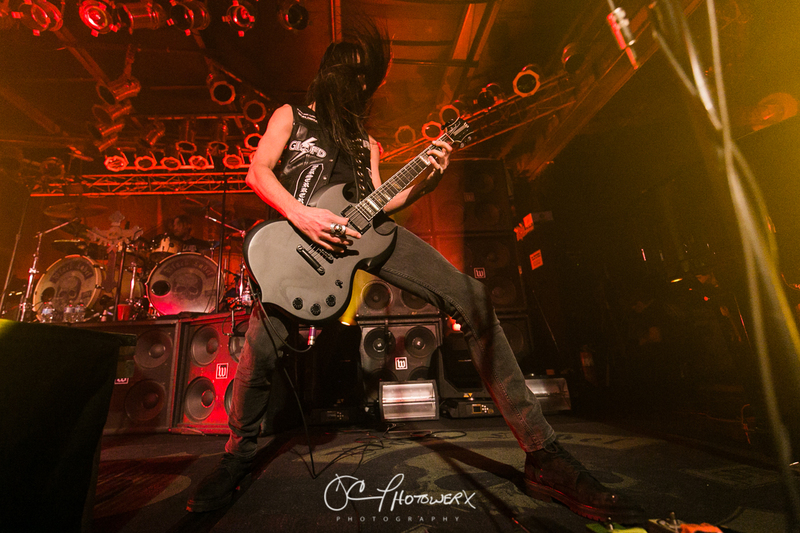 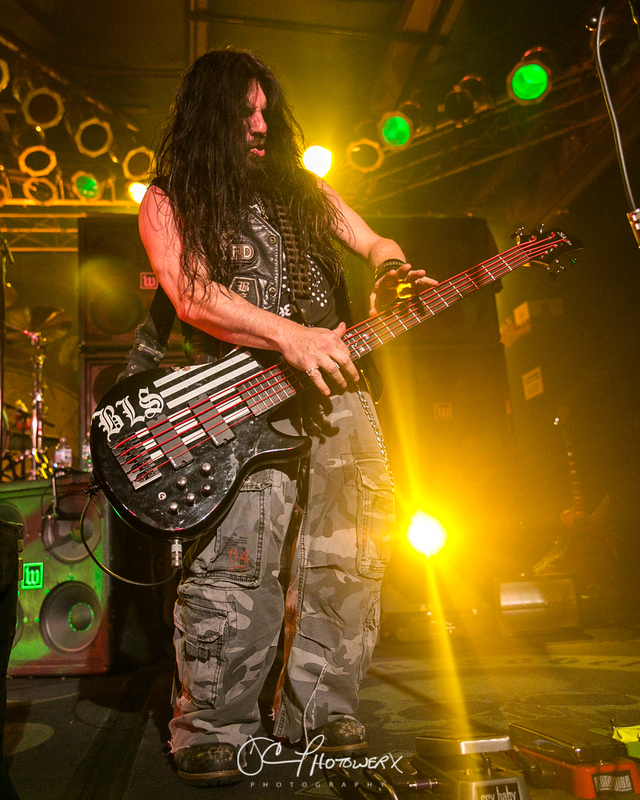 Guest appearances on albums with various bands, solo projects, and the formation of Wylde Audio, have kept the axe-master very busy. 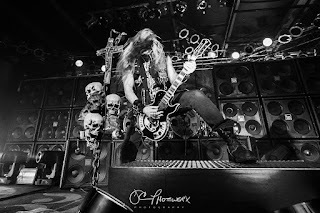 In 2017, Ozzy announced Zakk would be rejoining him for some summer tour dates. 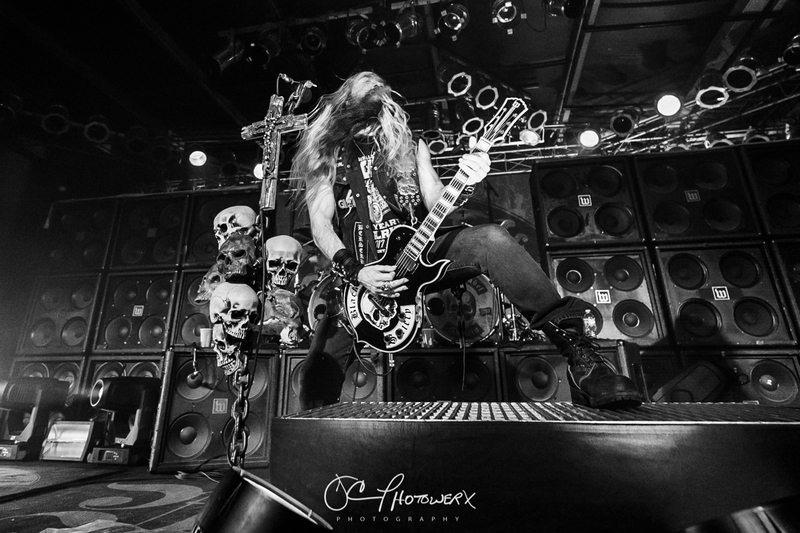 Good call Ozzy! This being my sixth time seeing the nimble-fingered fretmaster, I’ve gotta say he is definitely in the zone with Black Label. 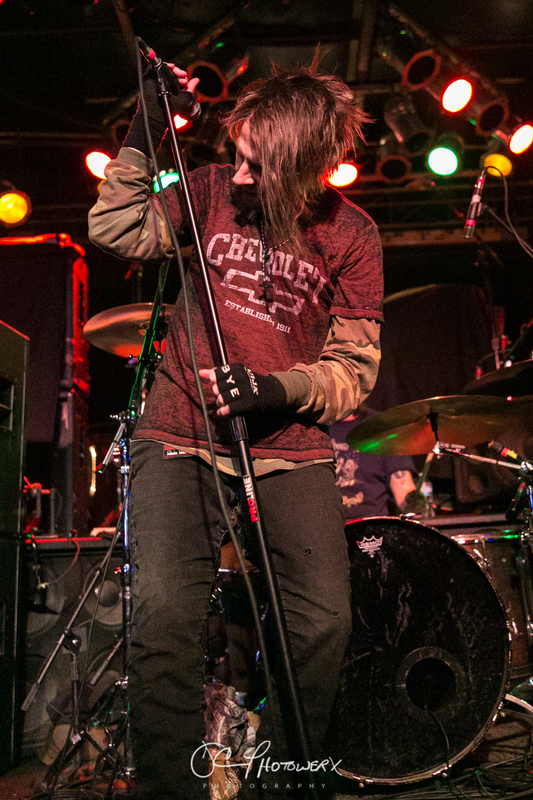 Now that we’re all caught up let’s get back in the now. 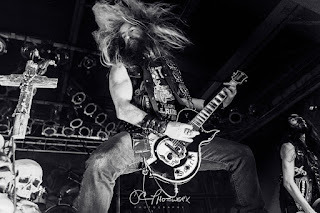 From the opening notes of, “Genocide Junkies” to the closing notes of “Stillborn”, Black Label remains one of the cleanest, loud bands you will ever hear. 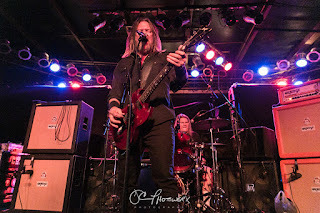 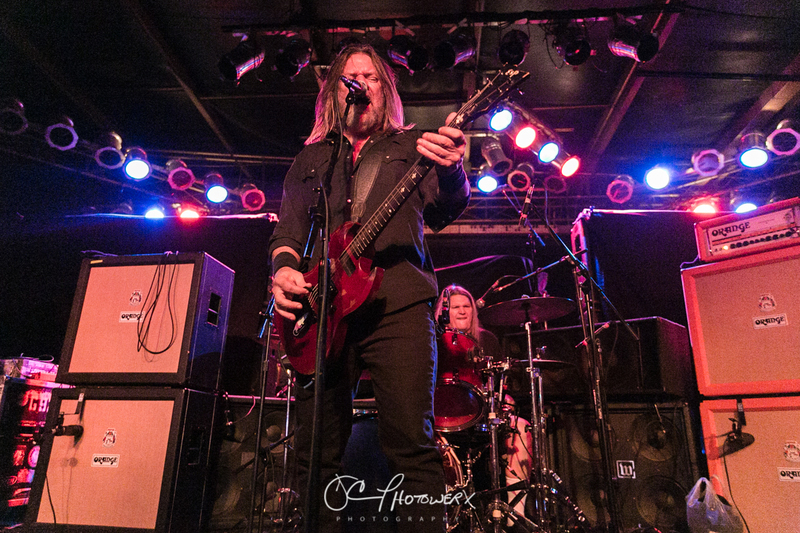 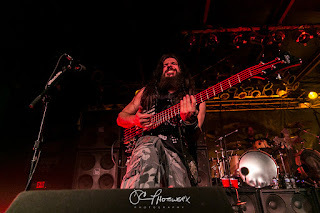 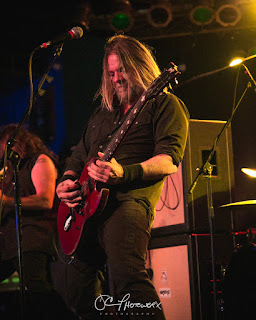 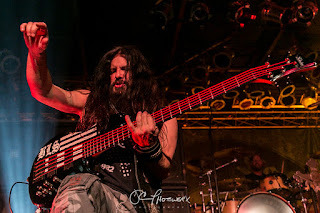 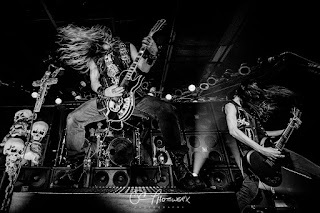 Wylde has always claimed that the members of the band are free to come and go as they please but this current incarnation of John (JD) DeServio (bass), Jeff Fabb (drums), and Dario Lorina (guitar) has been intact since 2014 and their cohesiveness shines throughout the 80-minute set. 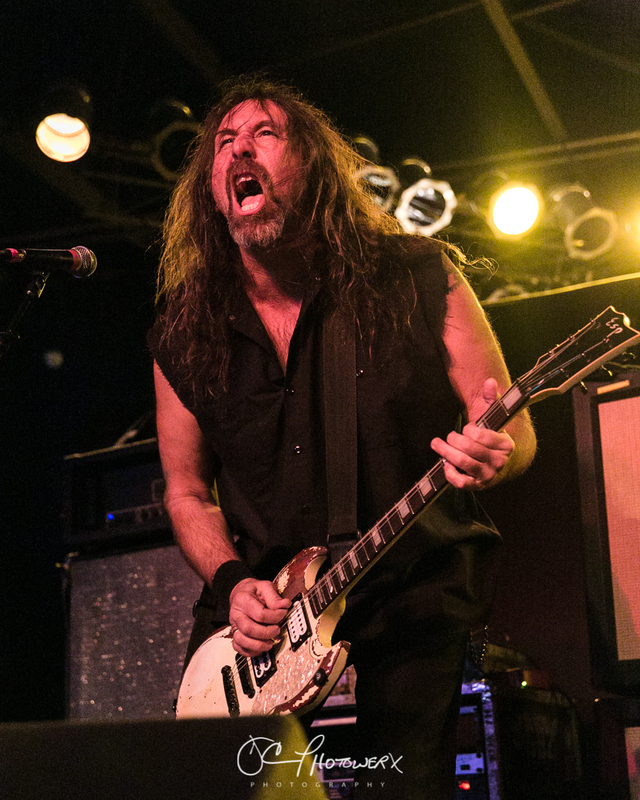 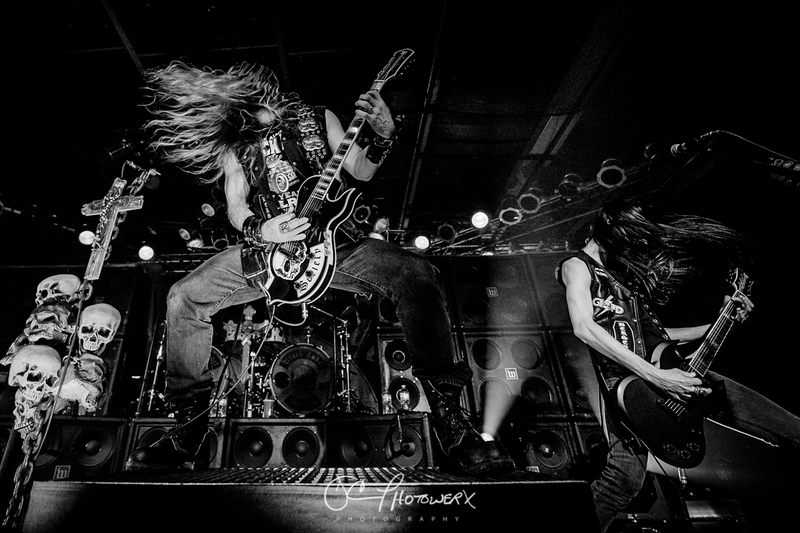 Since it’s release in 2005, the song “In This River”, which features Wylde’s skills on the piano, has remined a constant in the Black Label setlist. 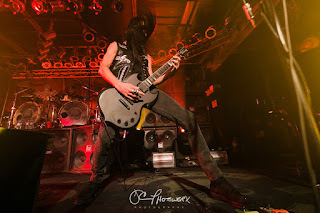 This song has been a nightly tribute to “Dimebag” Darrell Abbott, Zakk’s friend and fellow shredmaster, who was killed in 2004. 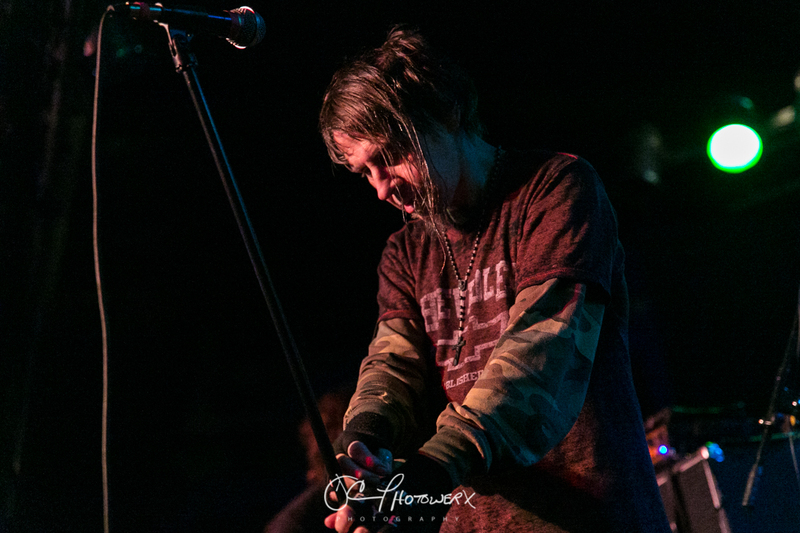 Tonight, as always, the song is a huge crowd favorite! 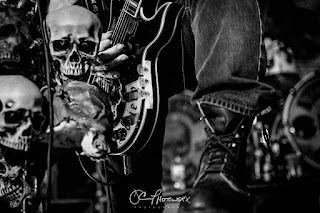 But an even bigger crowd favorite was about to happen, the customary guitar solo sending 2017 off in a big way! 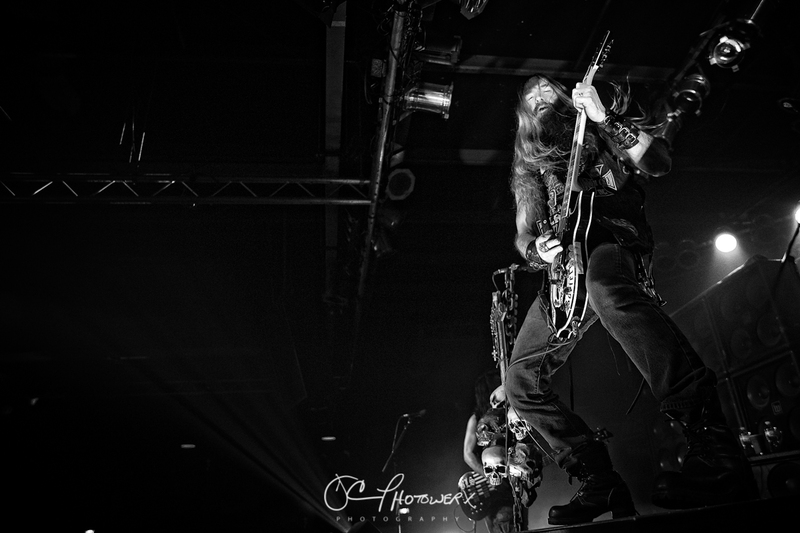 During the song “Fire it Up”, Wylde left the stage to wander amongst the fired-up Pop’s audience. 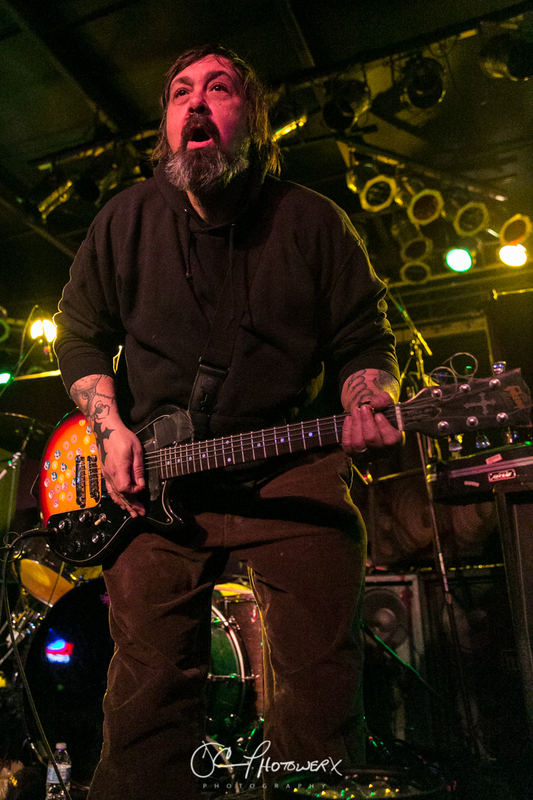 A guitar wizardry marathon ensued, clocking in at close to nine minutes. And the best part, he performed most it just a few feet away from me, in the balcony of Pop’s! 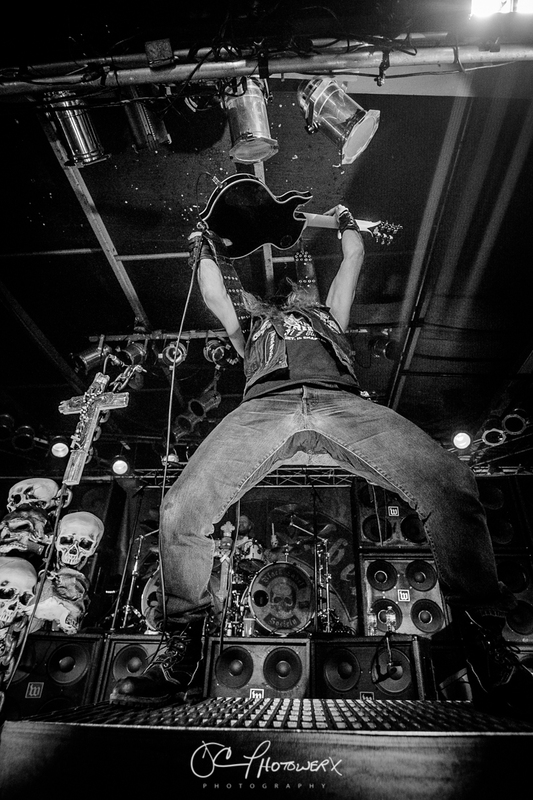 A Happy New Year indeed! 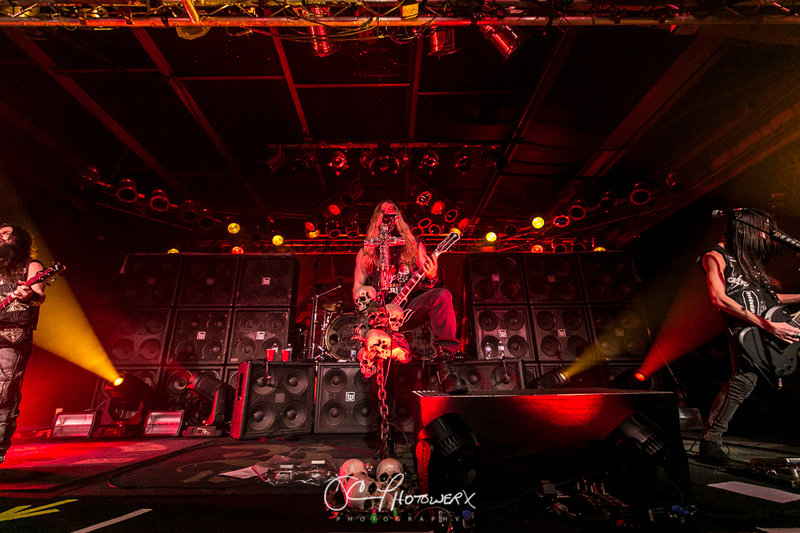 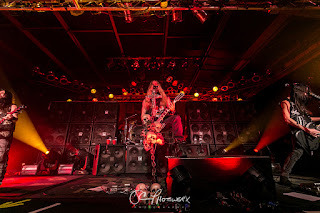 Thanks to Black Label Society for allowing MTC MAG in the house and thanks to Pop’s for your hospitality!